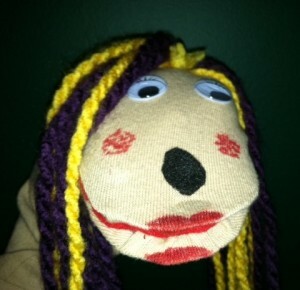 Leslie Birch said we need a mascot and it should be a sock puppet! The Joy of Sox has a new mascot. And the mascot needs a name. He or she will be incorporated into the header of the website and may even get an opportunity to go on a tee shirt, hat or pin! The mascot is really excited about this, but sadly, does not have a name yet.